OKLAHOMA CITY – A kitchen makeover could help more women struggling with substance abuse get their lives back on track. 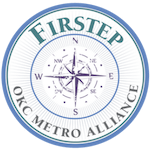 OKC Metro Alliance received $73,000 from two grants to help build a commercial kitchen for its women’s sober living initiative, Firstep. Connie Schlittler said once the construction is completed and the kitchen receives health department certification, then she can apply to become a certified halfway house through the Oklahoma Department of Mental Health and Substance Abuse Services.